There have been many operating systems to run on all kinds of computing devices over the past half century, but none has been more widely used than UNIX. Astonishingly, while originally designed in the late 1960s, UNIX is still in use today, and on more machines than ever before: every iPhone and iPad runs a version of UNIX, for example. The fundamental UNIX interfaces have become so important that the IEEE has defined the POSIX standard to specify what essential interfaces constitute a fully POSIX-compliant operating system. In addition to various UNIX distributions, this includes most Linux distributions. When you become familiar with a standard command-line shell for POSIX systems, therefore, you are learning a system you can use identically on most of the internet’s web servers, a personal Macbook, or a an Android phone. 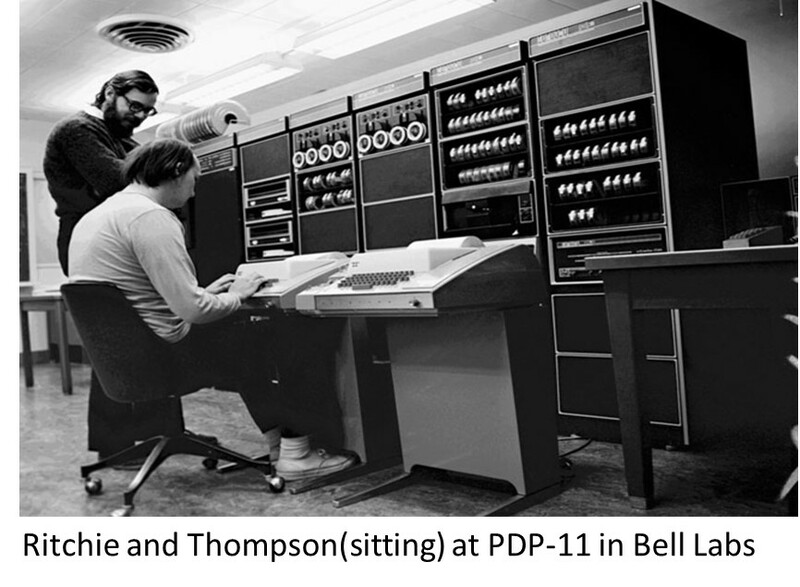 Even more remarkably, most of the shell commands you regularly use are identical to what you could have entered on a teletype PDP-11. These brief notes will show you a few shell commands you can use to interact with a POSIX-compiliant system, whether you are using a terminal application on your own computer, connecting to a remote machine using the secure shell program ssh, or running a virtual machine. Explore on your own, and let Google help you when you need more information. In 2015, the Homer Multitext project’s virtual machine for editors runs Ubuntu Linux, a POSIX-compliant system. As you look through these notes, try out commands in your VM to see what they do. If you haven’t already started up and connected to your VM, do that (vagrant up). Then, within your virtual machine, change directory to the shared directory you can also see in your host operating system: cd vagrant. That directory includes some sample data files you can use to practice with these bash commands. One of the first commands you should become familiar with is man, which lets you browse manual pages for a command. Try entering man pwd to find out what the pwd command does. If you want to find out more about man itself, just enter man man! Find out where your home directory is on the virtual machine (that is, what is the full path to it?). When you log in or connect to a remote machine with ssh, your working directory is initially your home directory. Find out what files are in the sampledata directory. Change your working directory to the sampledata directory, then change back to your home directory. Two useful additional commands you can use to navigate your file system are pushd and popd. Repeat the last change of directories and return to your home directory using them. The bash shell also allows you to refer to a file or files with a shorthand pattern notation known as “file globbing””. The most common file globbing shorthand is the asterisk, which means “match any characters”. A shell command like ls *.txt therefore will list all files ending with the extension .txt. You have already used man to view the contents of manual pages. man actually relies on a separate pager to browse through files, by default, a program named more. To display or print the full contents of a file, you can use cat. There is a symmetric paste command that aligns data from two or more files in columns. Can you predict what this will do? Run it and compare the results to what you would see if you used cat or more on the file. The result is a list just of the words, and their classification. A further common task is to sort a file. You can do this with the simply named sort program. We’ll look at examples in the next section. How many distinct values are there for the second column of the sample data file? Extract a list of just the words (as you did above with sed), and find a sorted list of unique words in this passage. Count how many unique words occur in this passage. Count how many total words occur in this passage. repeat a command using the exclamation point. !! repeats the previous command; ! before a number repeats that numbered command (using the number seen in history). substitute part of the preceding command string using the caret (^). If you mistakenly entered hisstory, you could correct that by entering ^ss^s, that is, “replace ‘ss’ with ‘s’”.